Podcasts are revolutionizing the industry in multiple ways. Radio no longer solely refers to the nostalgic AM/FM radio. These days, podcasts have become increasingly popular. If you haven’t known, podcasts have actually been around for a while but haven’t received as much “hype” and popularity that other mediums had. If you’ve ever listened to a podcast, it sounds just like a radio show, with personalities discussing various topics for a set amount of time. Also, notice that there are multiple sponsorships and advertisements to generate revenue and cover costs. These opportunities come in various advertisements, endorsements, and even mentions. 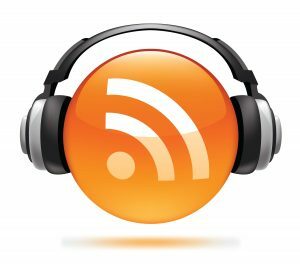 Before you know it, podcasts will continue their trend upwards and become more user-friendly and available to the public. Now, here’s some food for thought. Consider the fact that cars have started to incorporate Internet into their newer models. If this keeps up, expect all cars to have some form of Internet available to them within the next ten years or so. This means a lot more people are going to be able to listen to their favorite podcasts and streams on their commute. Steve Doctrow, from Rogers & Cowan, believes that the newer generation is growing up with numerous entertainment options available right to their mobile phone. This transition to mobile usage has changed the advertising industry in a variety of ways. Podcasts, music streams, and online radio are now dominating the industry for the foreseeable future. Businesses have always found a way to utilize these mediums to reach out to potential clients. They’re “getting with the times” to say the least.